Has become too predictable, defenders know push him onto his right foot and he is unlikely to score. A bit of mental fatigue maybe considering he plays every game. Quality teams have eliminated his ability to move to his left. Dunno about that, he's still getting chances, and shots away - just not scoring with them. He’s just in a little bit of a rut goal wise (not form generally). Sunday he just made a couple poor choices. Once they start going in again (very soon) I fancy they’ll come in a flood because he’s still getting and making chances. Few people like Carra slating Salah for being selfish but then completely ignoring when Fulham hit us on the break in the 2nd half it was Salah who busted a gut and his pace and awareness to make a run to block off the through ball stopped them having a 1v1, slowing them down and giving us chance to get back into position. His all round play has still been brilliant, there is the odd occasion where he might have passed aye, but most of the time, its last ditch tackles beating him, or his shot's are just too close to keeper, he still has a lot of assists to his name during his goal drout. Also his tracking back is awesome as you say. His control in the box is unbelievable. It’s not been coming off for him in terms of being in a position to get the shot away but causes complete panic and the ball usually falls into our possession and the chance is still on. I would be more worried if Mo wasn't getting shots off, been unlucky at times, still contributing and helping to free up space for others to score. It’s pish just to generate talking points. Manager has left out a number of players for younger ones. 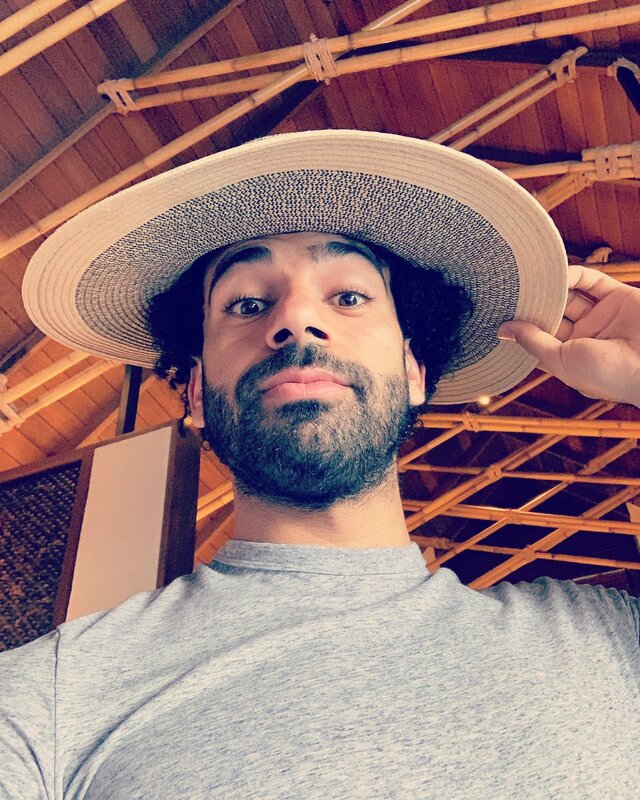 Yep he's deffo not been picked by Egypt. I reckon it's coz they fu**ed him over using those images he didn't approved or whatever the f**k happened when he got pissed off with the Egytpian FA, a few months ago and now they are trying to make amends by not calling him up. That and they want LFC to win the Title. I didn't mean to plus you on that, hit wrong button but I can't undo it now. Was involved for the winner today but another frustrating performance today. Had great chance to play Mane, then fires that one over the bar from outside the box when he should be hitting the target or keeping the move going and then bizarrely let Origi take the free kick from him. Could really do with him finding that fluency again. Agree with the above, he definitely should have passed but at the end of the day he was there when we need him most today at the end. Didn't stop trying once and was still a threat throughout, when he stops looking a threat I will be worried, until then, no issues for me. Yup, as long as he gets himself in those dangerous positions then it's just a question of time before he gets a goal or two and a bag full of confidence. Agree, his pace and quality is still there and it keeps opposing defenses from over committing, as if the do they leave him the space he will thrive on. Just hope he can find that missing but if quality again before the season is out, although if we keep winning then I don’t care really. Yep needed to pass that ball to Sadio. Was a certainty if he did. I'm just worried if we get a Pen and James Milner not on the pitch. Is Mo gonna have the balls of steel, with the goal scoring rut he's in at the moment, going to be able to convert it? Need you back scoring mate, we miss those goals of yours. Just like you are trying to hard at the moment. That was vintage Mo finishing. You don't mean his performances have been poor surely? Some of his decision making in them situations hasn't been good over the last couple of months but his overall performances have been deserving of a goal. IMO the way he was so involved in the winner vs Spurs gave him the confidence he needed when he was in them situations. He hasn't looked confident around the box recently and has made the wrong decision but he looked full of confidence tonight, he knew he was going to shoot then where as before I think he was caught in two minds of pass or shoot and as a result just kind of ended up running into the defender. Hopefully the goals will flow now. It's the sheer accuracy and power of the shot that gets me - and it is unexpected as well. We all think he's going to take a split second more but then we realise it's in the back of the next. Undoubtedly one of the goals of our season. So so pleased for him has got a lot of stick from too many PlayStation enthusiasts on here and elsewhere. Southampton had a plan to double team him with Bertrand and Vestergard who roughed him up every single time. The one time Vestergaard was caught out of position from their corner Mo punished them. World class speed, control, and finish. This will be a huge one for his confidence and ideal for the run in. Could that be the goal that kickstarts him again? Hopefully so. Expertly taken and not really easy to score there. That goal was something else.